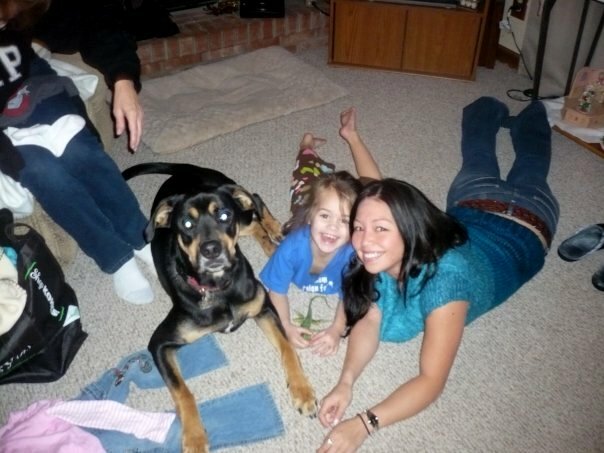 Here's a page created to update the family about Jenna's events. There were just too many pics on my original page, so decided to separate them. 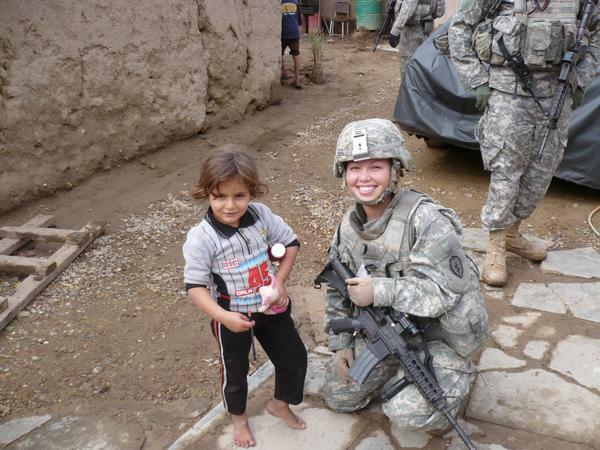 First up are some pics from Jen in Afghanistan. 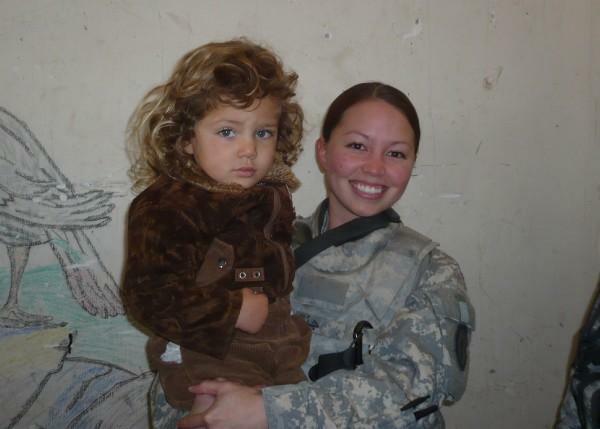 Then, pics of Jen, Joe, and Peyton, followed by Jen in Iraq. 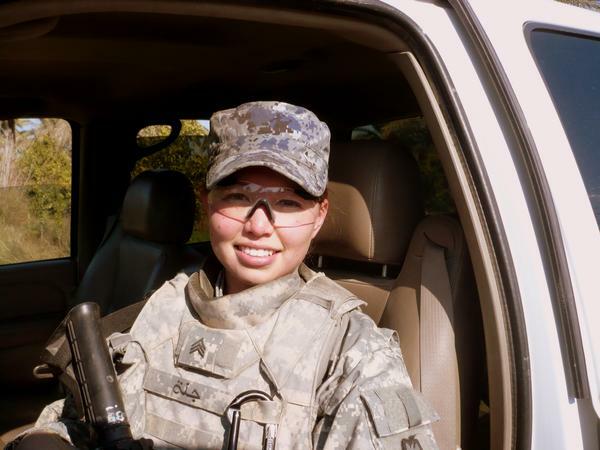 AUG 2010: Jen was wounded in Afghanistan on 22 AUG in a firefight, when a 7.62mm round fired by an insurgent passed through her calf. 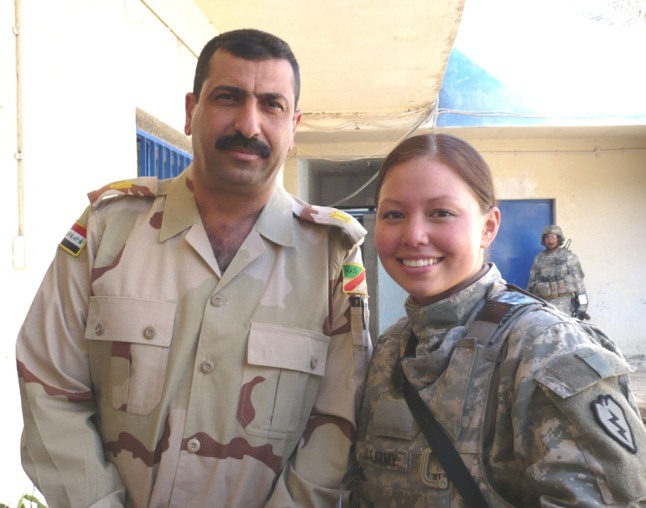 At the US military hospital at Bagram Airbase, Jen received the Purple Heart medal from the commander of the 101st Airborne Division, Major General John Campbell (right side, bending over) and the divisional Sergeant Major (Schroeder). Note the subdued 101st Div. "Screaming Eagle" divisional patch on their left sleeve. 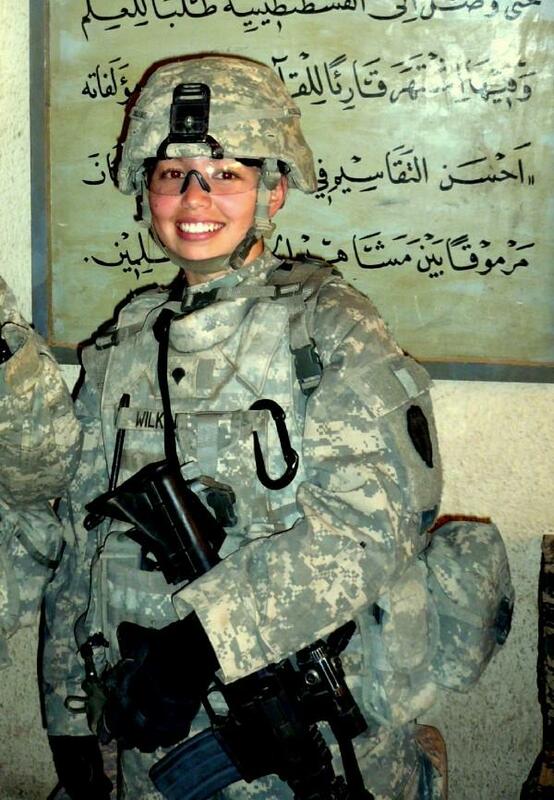 AUG 2010: Jenna on a mission in Afghanistan. 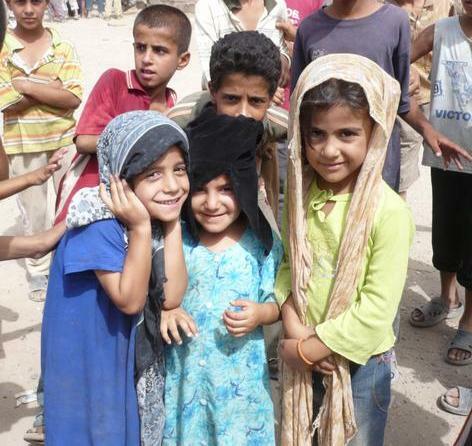 AUG 2010: Afghanistan. 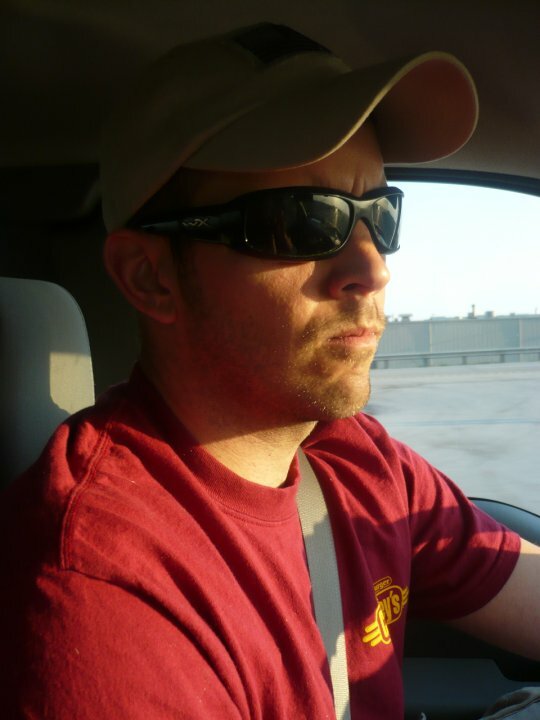 In the field, on a relatively quiet day (no contact with the bad guys). 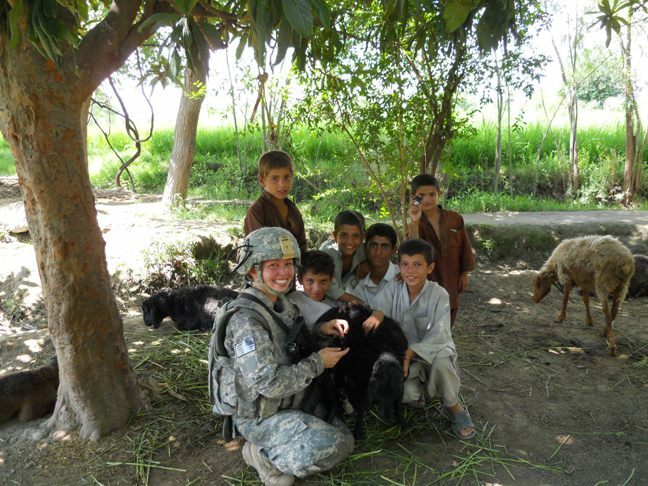 AUG 2010: Jenna with some of the local indigenous flora and fauna--and some resident children (Afghanistan). 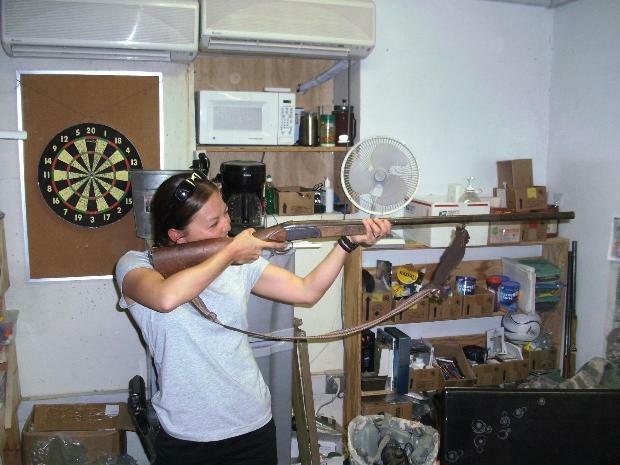 AUG 2010: Jenna with a captured (Russian origin) semi-antique weapon. 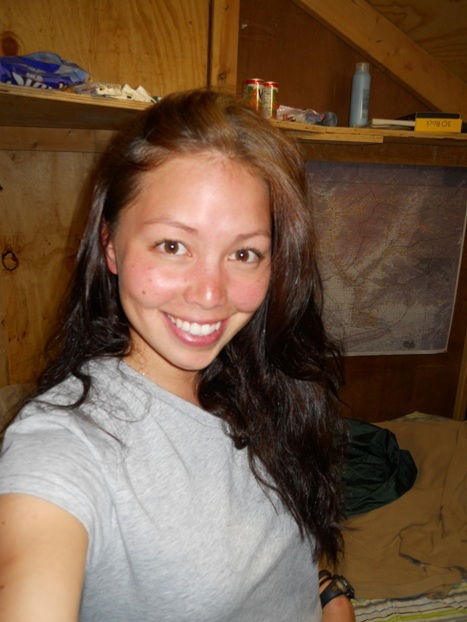 AUG 2010: Jenna in her quarters (Afghanistan). 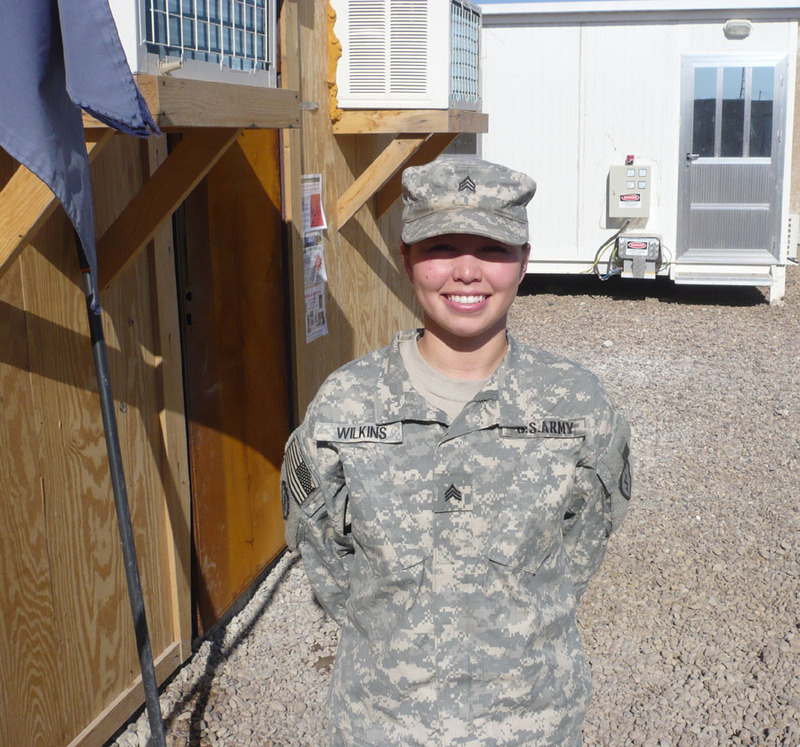 AUG 2010: Jenna enroute to Afghanistan. 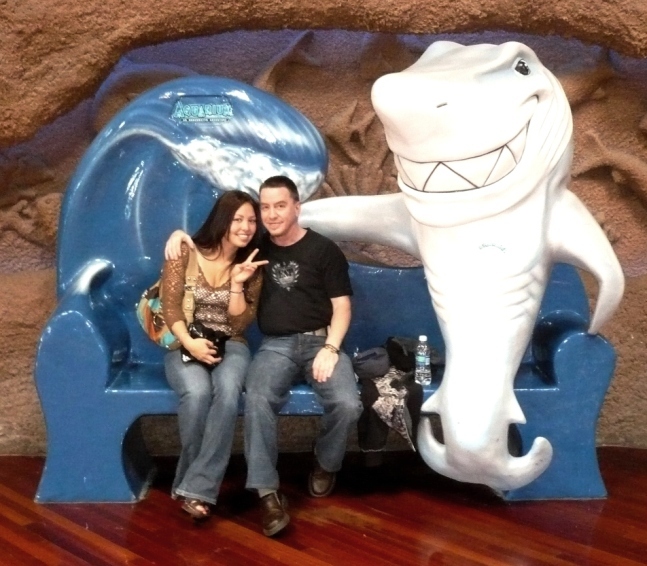 APR 2010: Jenna and I at the Opryland Mall in Nashville (Joe took the pic) during my visit to meet Joe. 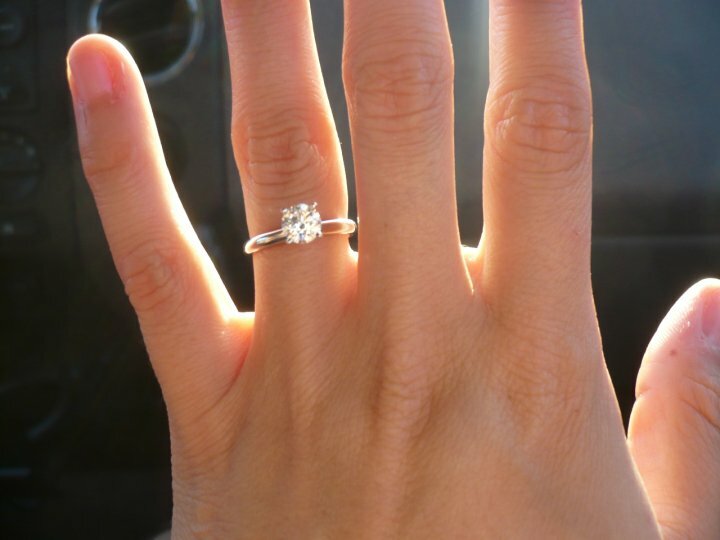 MAY 2010: It's official, Jenna is engaged. 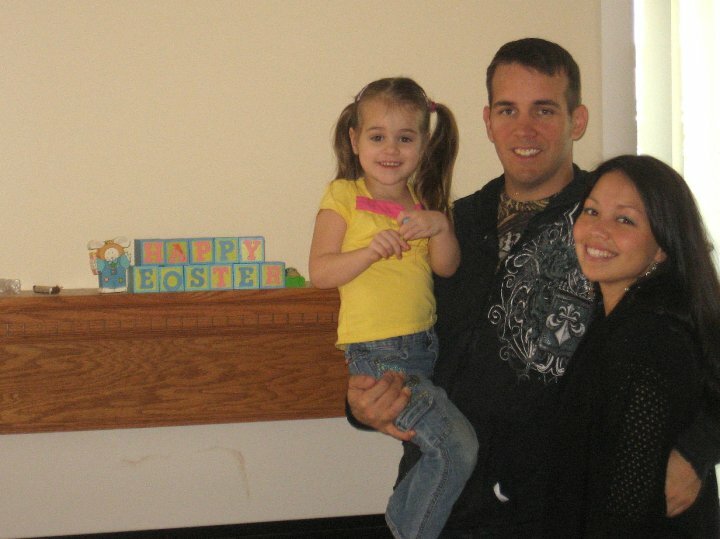 MAY 2010: My future son-law, Joe P.
MAY 2010: Jenna, Joe and Peyton. 2009/2010 Christmas? Jenna and Peyton; apparently, Peyton often calls Jen "Jemma." 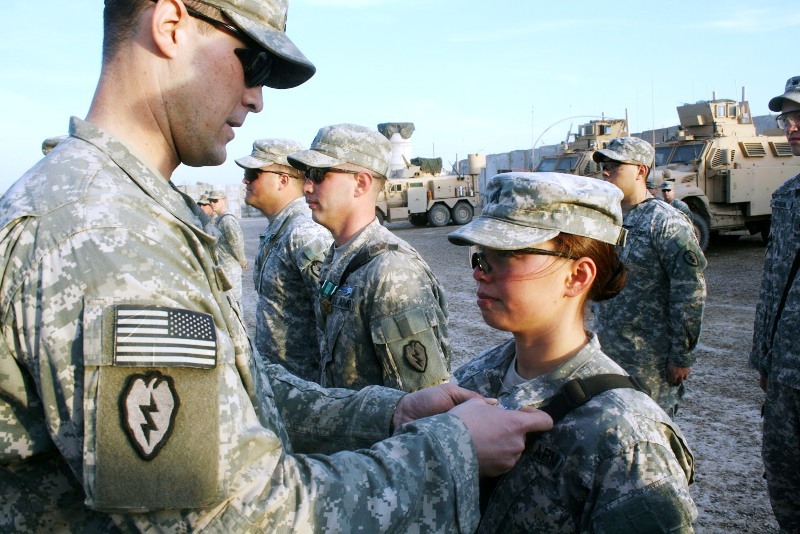 Before leaving Iraq Jen received (4 FEB 2009) an Army "Impact" Award; an ARCOM (Army Commendation Medal), and a second AAM (Army Achievement Medal--she had already received her first AAM in 2008)... Congrats!! 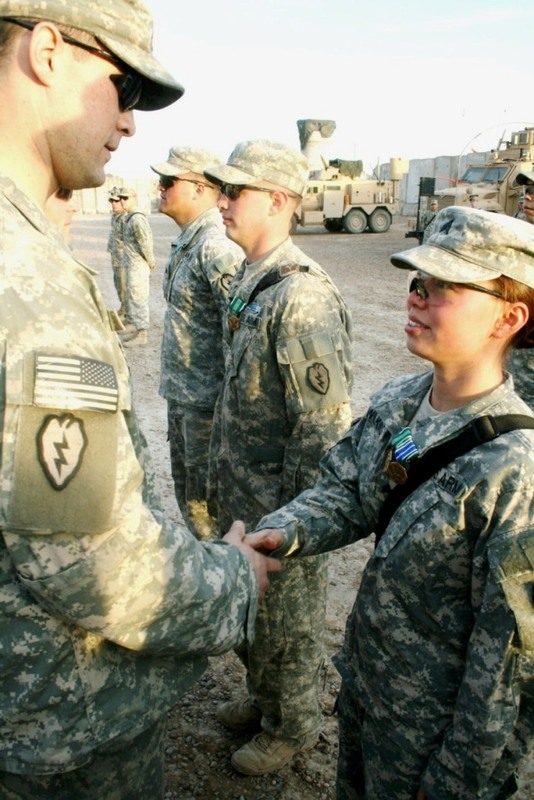 4 FEB 2009: SGT WILKINS at the 1-27 Infantry (WOLFHOUNDS) unit awards ceremony in Iraq, receiving the two medals (ARCOM and AAM). 4 FEB 2009: Both medals on board. 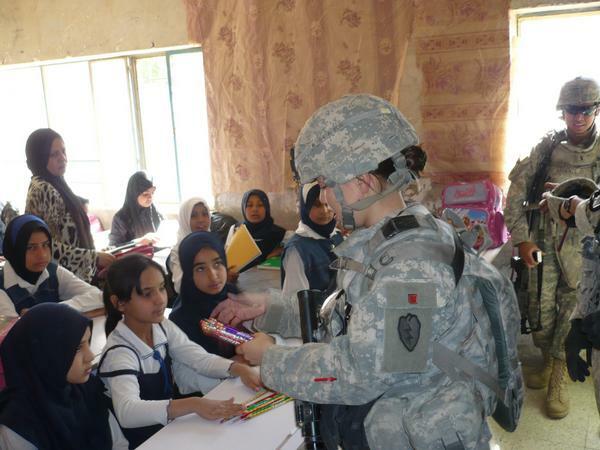 7 JAN 2009: Note that her name tag is embroidered in Arabic; it reads: "an'neJ" - read right to left, i.e., Jen'na (Jenna) - which happens to mean "paradise" in Arabic. 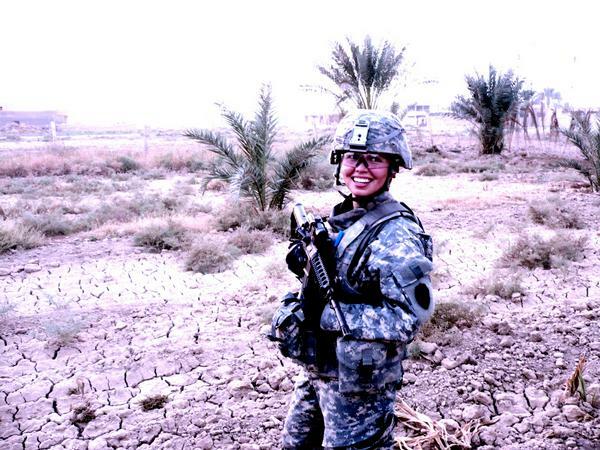 2008: Jen claimed "this is about the only thing that our camo uniforms actually blend in with....!" 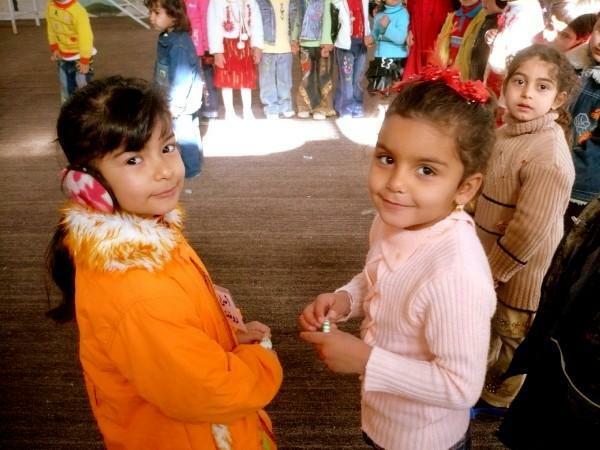 7 JAN 2009: Little Iraqi schoolgirls. 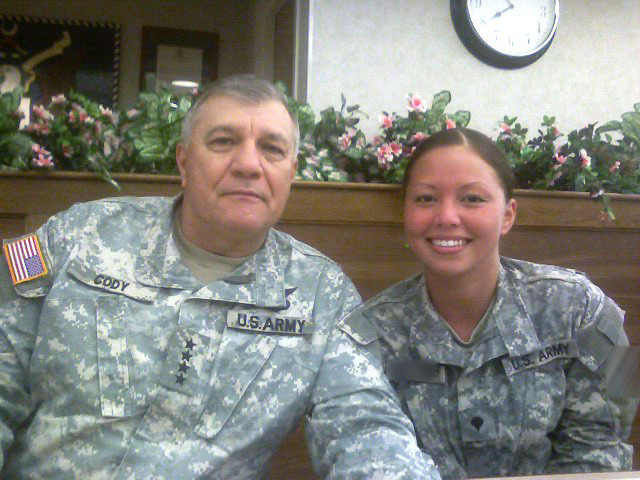 7 JAN 2009: SGT Wilkins....Nice pic. Woops, in this pic she's still only a Specialist (E-4). 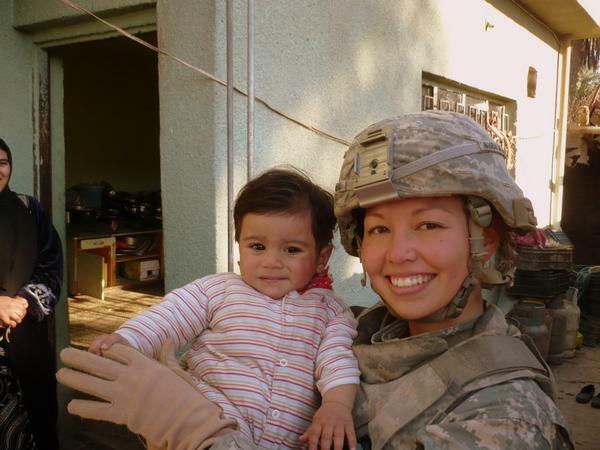 7 JAN 2009: Jen holds a local infant... She notes: Cutest baby in a trashy town. DEC 2008 Jen with a little local boy. 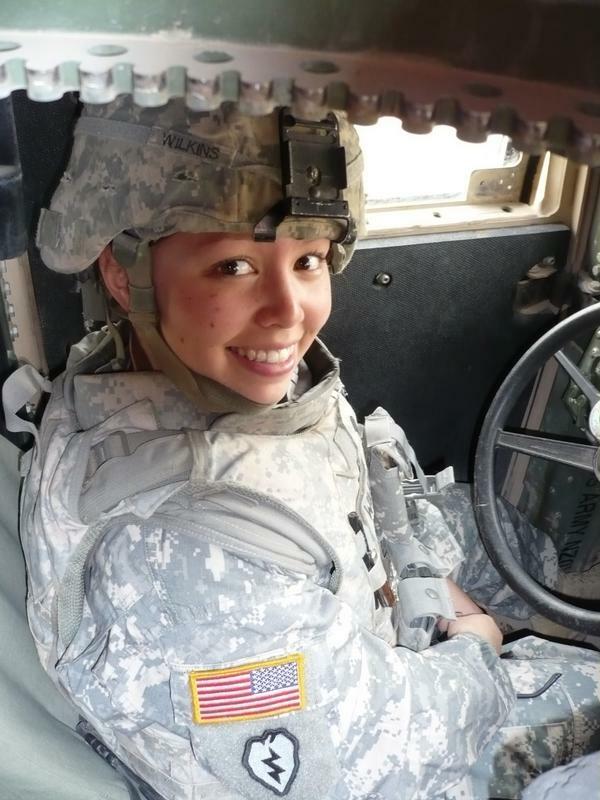 AUG 2008 Jen in the driver's seat of a Humvee - shot taken from someone standing up in the machine gun mount, looking down through the rotation ring. 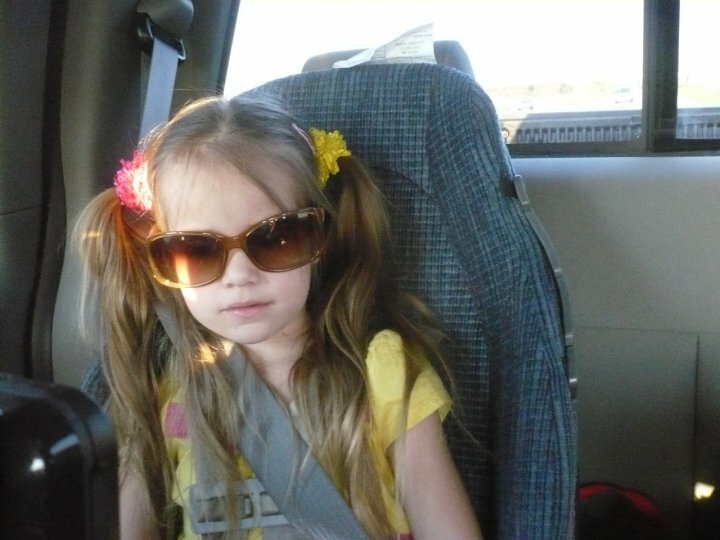 I love this pic! 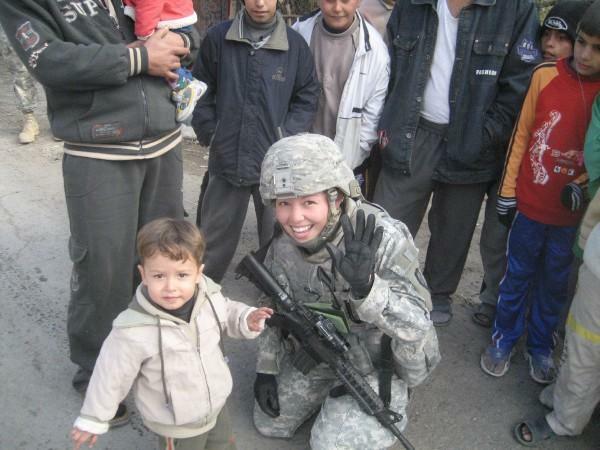 2008 Jen out on patrol, posing with some young Iraqi women. 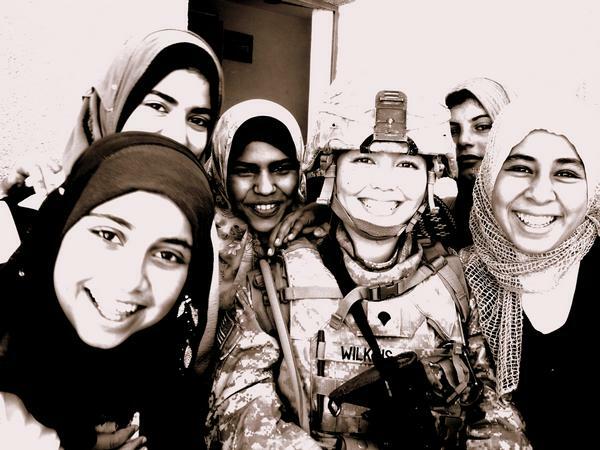 Girls just wanna have fun - even in Iraq. APR 2008 the school girls call Jen the "pienceel lady". 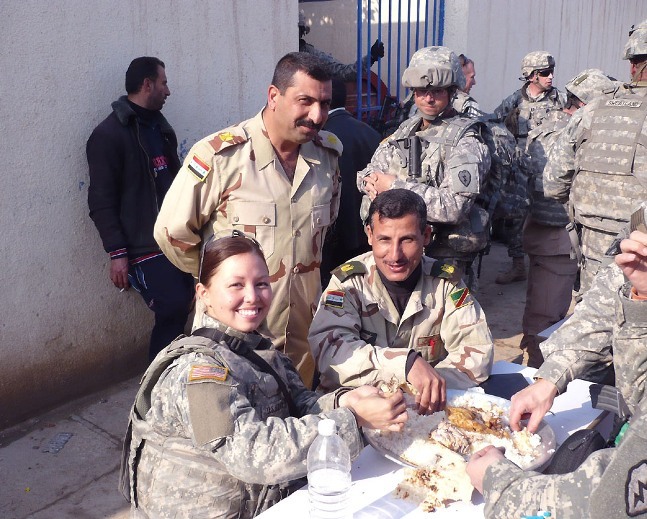 JAN 2008 Jen and Iraq-style lunch; sharing a meal with Iraqi regular Army officers. 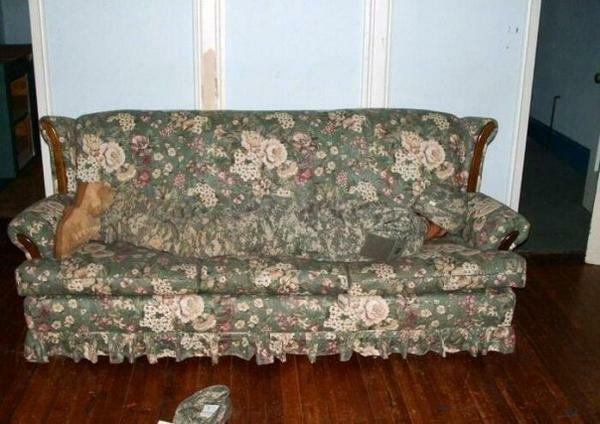 the soldiers luck prior to their deployment to Iraq.